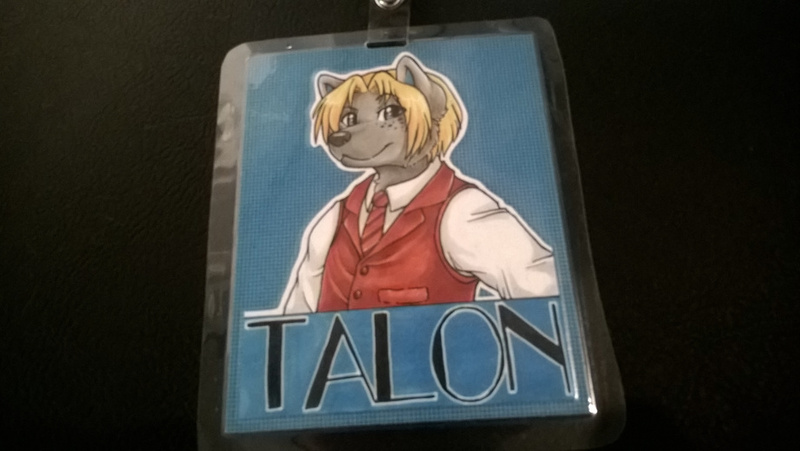 made me a con badge! And then gave it to me and person!! Awesome! met up in the dealers den on the second day of Anthrocon. First person I knew from online I had met. Well, after browsing a bit I realized I wasn't in the artist alley and me and Ty were just about to head over there when I saw Malachyte in the crowd! Couldn't believe my luck. Seriously talk about "Wild Redpanda has appeared" was real. It was an awesome experience and I'm going to charish this badge for a long long time. Now that is a really cool run-in.